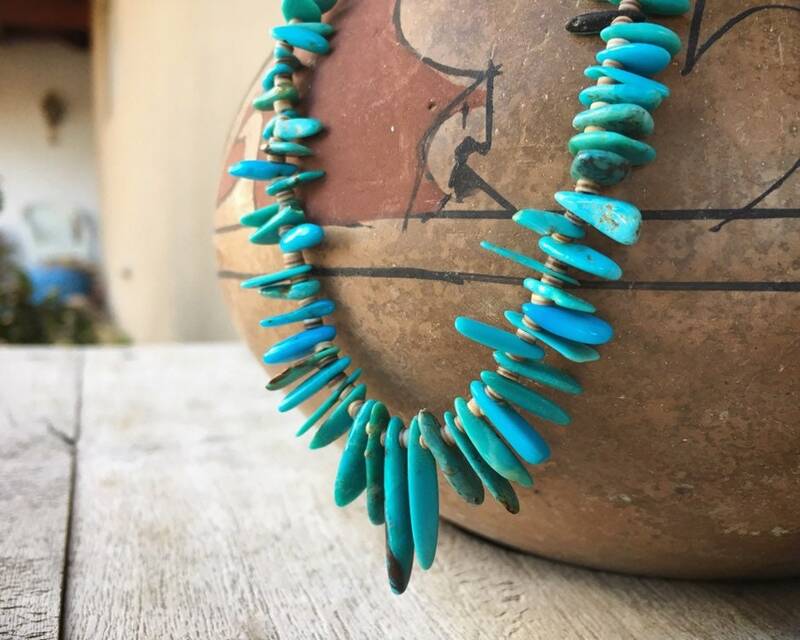 It is truly hard to capture the blue color of the turquoise in this older necklace. 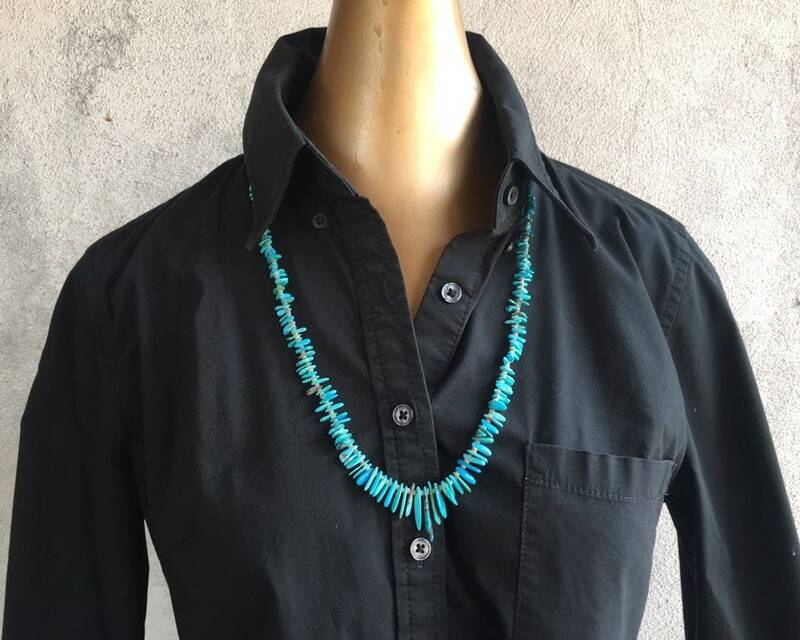 It is mostly bright blue with matrix, although there are lighter shades as well. 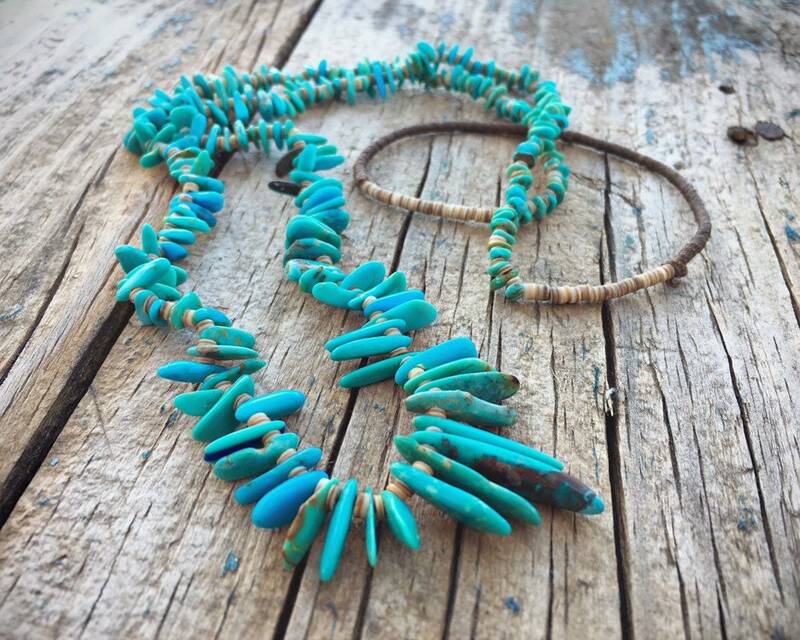 The pieces of turquoise are shaped in longest smooth "fingers" at the bottom and as you move up the necklace, the turquoise becomes smaller and thinner, what might be called "chip turquoise." The heishi light pen shell with some dark striation. 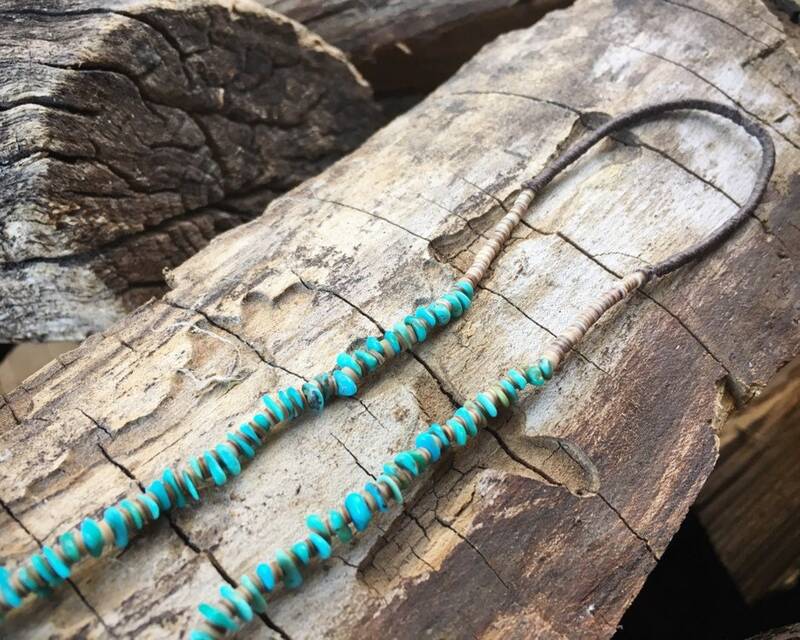 The piece ends not in a clasp but a "squaw wrap." This was an estate find, and it is not large--it looks larger in the photos than it is in reality. 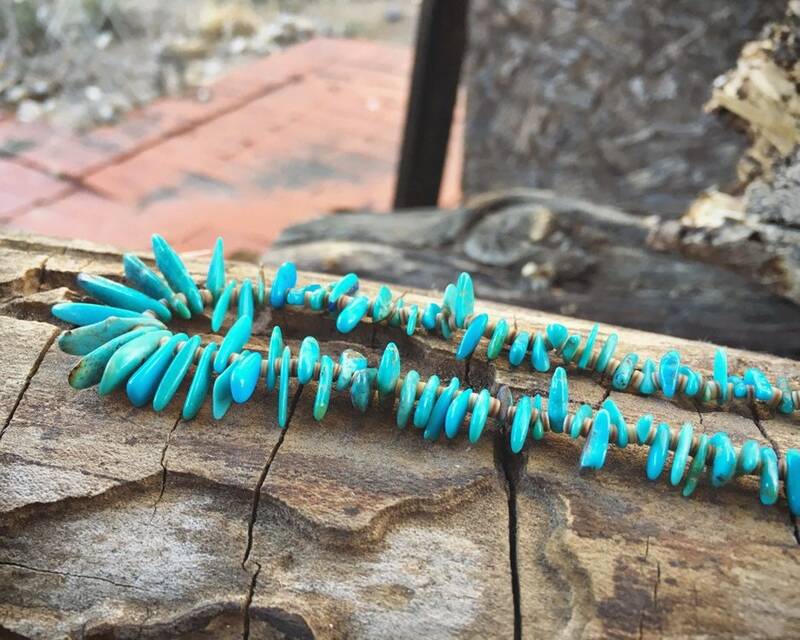 It is very fine, and I mean that both in terms of the work that went into the pieces, each hand picked and in some cases hand shaped and polished for the necklace, but also in terms of the effect. It just looks refined versus chunky or raw. 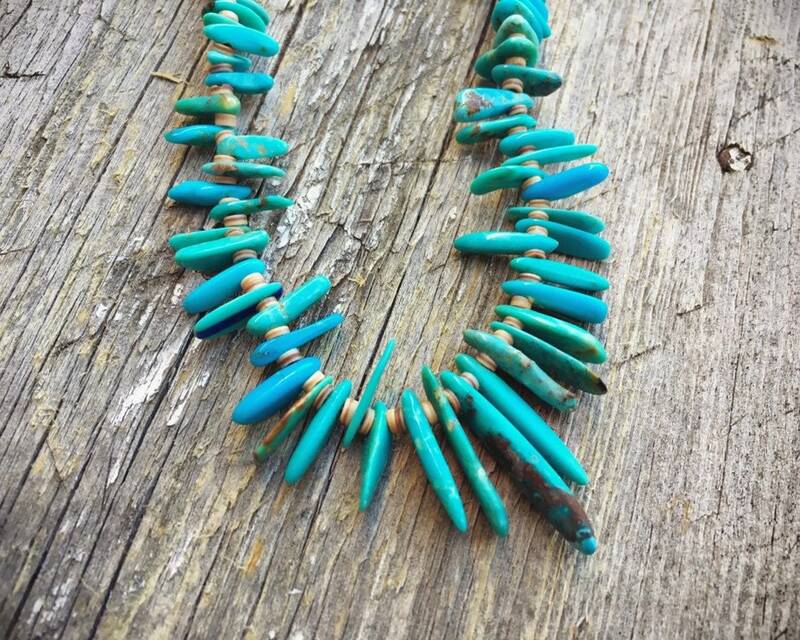 This would be a great piece to layer with other turquoise necklaces, of different lengths and sizes. 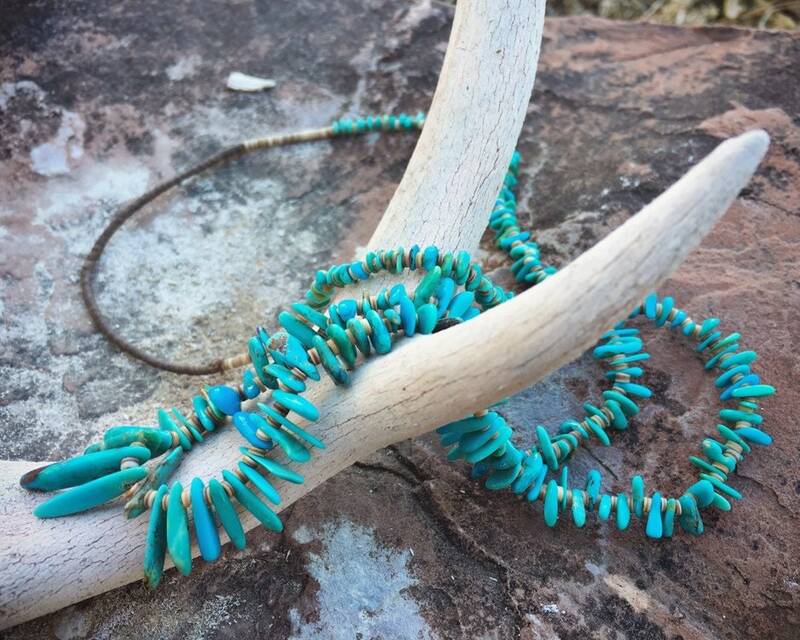 But it's also one of those necklaces that stands out for the quality of material and workmanship. I wouldn't hesitate to give this to a collector, or to buy it as a collector. 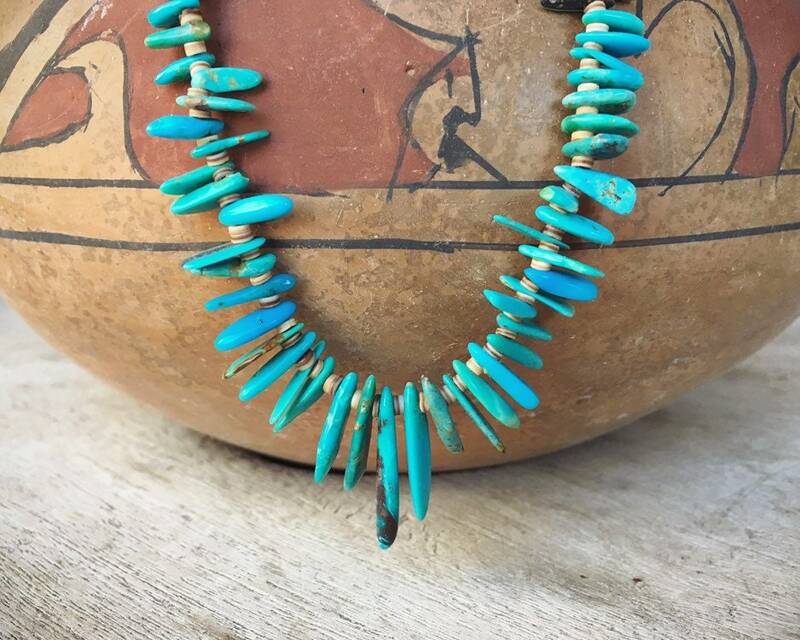 The turquoise is stabilized, and we estimate it to be circa 1960s. 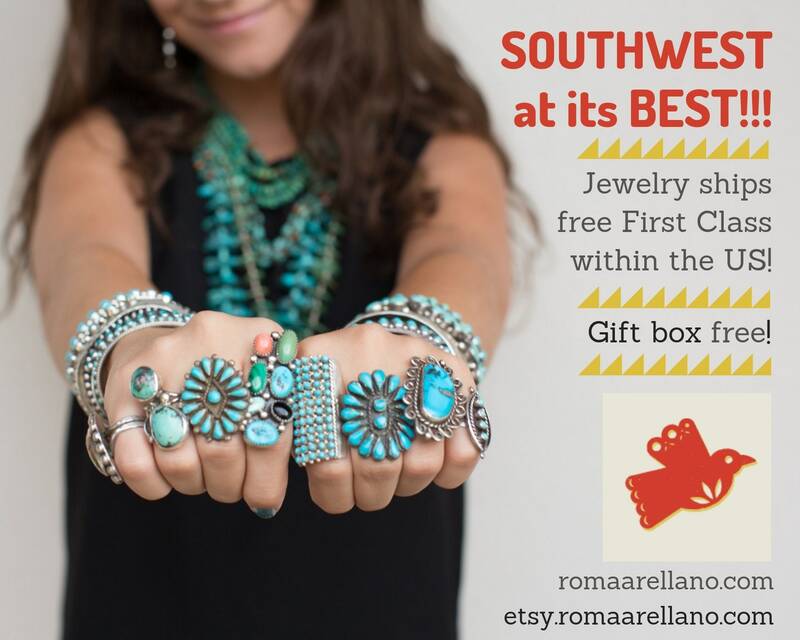 There may be small chips or breaks in the turquoise although I haven't found any for certain. We believe this is Santo Domingo. Measures almost 28" all the way around. With the squaw wrap closure, it is placed over the head to put on and take off. It is in good condition.